Horseback I become something different, and with me on his back, I believe my horse is just as changed. Together we are another animal entirely. I like this other animal so much I have built my life around being it as much as possible. As a day rider, sort of a freelance cowboy, I spend a great deal of time in the saddle and most of it alone. 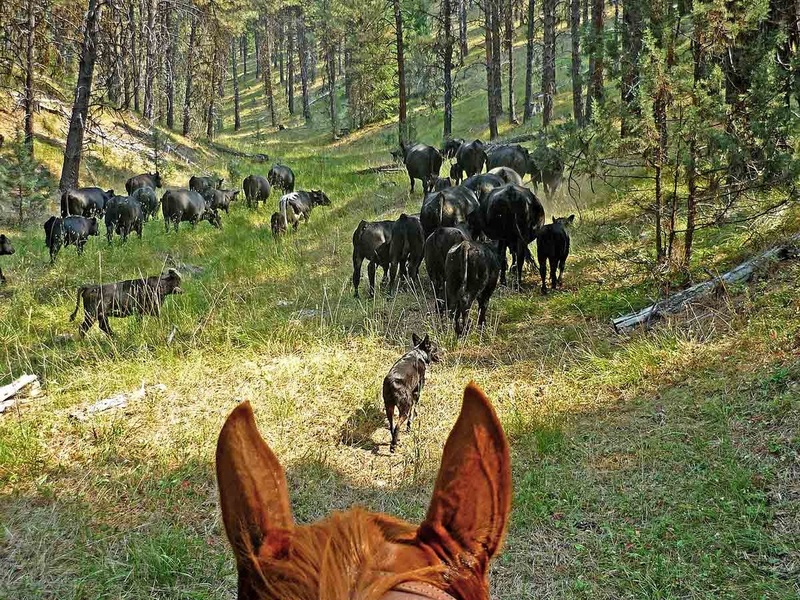 My main riding contract involves using low-stress stockmanship to manage grazing on a 140,000 acre forest allotment with hundreds of miles of sensitive riparian areas and a growing wolf population. It is one of the most beautiful, least populated and wildest landscapes left. The work requires a lot of my horses, but I think just like myself, they find purpose in our partnership and in doing a job that regularly tests our limits.